Bring your horses and live recreationally or year-round on this lush and beautiful 20 acre paradise near Lewistown, Montana - this is country living at its finest! This area is known as the best area in the state of Montana for upland bird hunting, pheasant, sharp tail grouse and Hungarian partridge are prolific in this area! Land in this neighborhood is hard to come by and for good reasons; it’s highly desirable due to its location near Fort Peck Lake and the Missouri River Breaks. The Breaks, as the locals call it, is a huge chunk of public land surrounding 150 miles of the National Wild and Scenic Upper Missouri River drainage. Some of the biggest bull elk in Montana call the Breaks home, as well as, antelope, mule deer, and white tailed deer which makes this area a great hunting location. A Missouri River Breaks bighorn sheep tag is one of the most coveted big game licenses in the world. They grow them big here! Fort Peck Lake is Montana’s largest water body with 1,520 miles of shoreline, longer than the California coastline! Some of the hotly pursued fish include walleye, northern pike, paddlefish, sauger, lake trout, small mouth bass and Chinook salmon. Surrounding this large expanse of water is the Charles M. Russell National Wildlife Refuge, managed by the US Fish and Wildlife Service, which provides over one million acres of public land for fishing, hiking, hunting, camping, birdwatching, and other outdoor recreation. 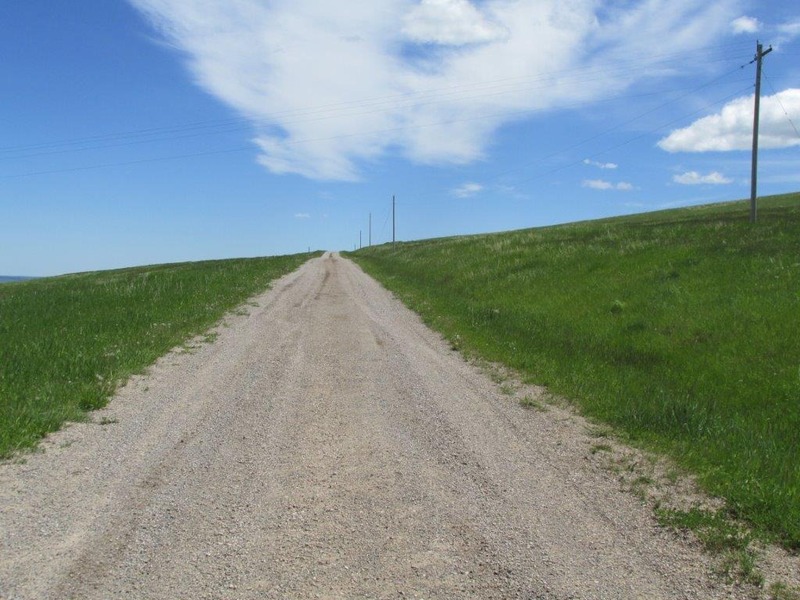 This Montana land for sale is very close to a wide and hardened gravel county road and power and phone are already on the property so it’s ready to build! You are only 40 minutes from the town of Lewistown, which is known for being the heart of Montana (it’s literally located in the center of the state) with a flair on cowboy culture offering a friendly hometown atmosphere, modern art galleries, yogo sapphires, and eateries for every palate. Rolling prairies, farms and ranches dominate the landscape and also boasts five beautiful mountain ranges, the Little Snowy, the Big Snowy, the Judith’s, the Bull, and the Belts. When you purchase this land you can enjoy 360 degree views of this fabulous landscape, as well as, access to hunting, recreating, fishing, biking, ATVing, hiking, and more. This property is tucked into the corner of a large private ranch offering peace and quiet! Two sides are already fenced. Every acre or square foot of this property is usable ground with both flat and gentle slopes all with fertile highly productive soil. This is a great property to bring a few horses or cows and create your homestead in Montana. There are several great and easy sites to build that include privacy too. Wherever you decide, you will have views out every window. You’ll also have antelope and deer feeding right out your back door. Priced at only $59,500, Call Scott Joyner today at 406-223-6039 to learn more about this one of a kind property.